Takeshi Kamisato partnered up with the folks at Kuma Films for this new video, and it’s stunning! Spin top tricks generally look pretty magical, but seeing them in exquisite slow motion really highlights how stupidly hard it is to hit the tip of a moving spin top with a ridiculously long and floppy string. It’s ridiculous. Hug a spin top player and let ’em know “Hey, listen, I know it’s hard for you but you are doing GREAT and I think it’s all gonna be ok”. Spin tops used are modified Duncan Bearing Kings. Miguel Correa shows off the new YoYoFactory Elec-trick LED Spin Top. Did you forget that Miguel Correa is also one hell of a good spin top player? Well, here’s a little reminder. 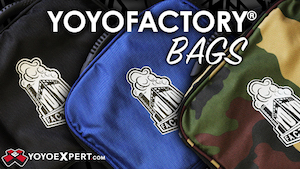 And if you haven’t tried YoYoFactory’s new line of spin tops, you are seriously missing out! Spin top used is the YoYoFactory Elec-Trick LED. This is exactly the sort of thing that makes my inner nerd squee with delight! There is a traditional Hmong sport called tuj lub (pronounced too loo), and it’s sort of like bocce played with big spin tops. And an official tuj lub court just opened in St. Paul, making it only the second regulation court in the United States! There is a great article in the Star Tribune, and you can visit the Top Spinning forums for this article from 2015 that details the complete rules of the game. During a 4th of July celebration in St. Paul this year, there was a tuj lub tournament (before the new courts were built), and it’s a hell of a game. Imagine the burliest game of battle tops you’ve ever played, and then throw them a lot harder. Check out the video below of the July 4th match to see his amazing game in action. If you’ve ever thrown a spin top, then you are going to be absolutely astounded at how crazy good these guys are! If you’ve never thrown a spin top then just trust me…you should be ASTOUNDED at how good these guys are!! These amazing top spinners from Taiwan show off perfect aim and control over some up-sized wooden spin tops in this short film by Kuma Films. I’ve watched this four times already, and there will be at least a dozen more…amazing! 44RPM, the start-up toy company from Drew Tetz and Hank Freeman, just announced their first sponsored player: scene legend Takeshi Kamisato! 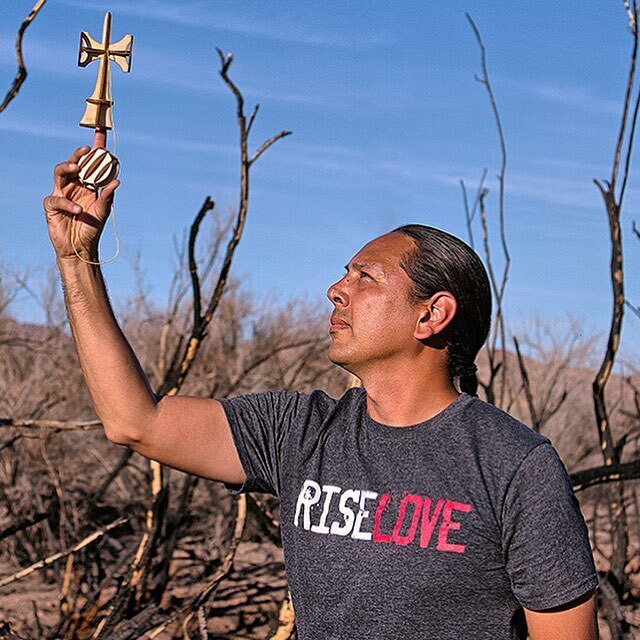 With Takeshi’s history as a yoyo trick innovator and filmmaker, and his recent (and pretty awe-inspiring) jump into the world of absurdly hard kendama tricks, he’s a perfect fit for 44RPM. In addition to their line of flatpack yoyos, kendamas, and spin top, 44RPM recently released a budget metal yoyo called the Rhythm, and have started showing photos of it’s companion yoyo, the Blues. The Rhythm, designed by National YoYo Master Rafael Matsunaga with art by Rodrigo Yokota is in stores now. There is no release date set for the Blues. Takeshi Kamisato hooked up with the folks from Kuma Films for this spin top video, and it’s great! We definitely don’t see enough of spin tops these days, and Takeshi has always been one of the best players out there. Top used is the Duncan Toys Bearing King spin top. Luis E. Celis from Bogota, Colombia sent us this new fixed tip spin top video, and it’s packed with crazy hard stuff. Not many people are crazy enough to specialize in fixed tip but those who do are baller beyond compare. Enjoy! Woo hoo, new spin tops! That’s not something you hear much about, but thanks to a European market that still loves tops there is now a full line of brand new plastic spin tops available. Produced by a company called Energia (and designed with help from YoYoFactory!!) there are three models; bearing tip, fixed tip, and a light up. These are only available in Europe for the time being, so you’ll have to hit up a store like Slusny to get them, but if you like spin tops it’s worth the extra shipping. And I love Vashek, but he looks terrifying in this commercial. Like as soon as he finished that trick he’s going to eat your face, ha ha. CALM DOWN, VASHEK. Master yoyo modder and wood turner Eric Wolff recently got the idea to make a wooden spin top…out of colored pencils. The results are absolutely amazing! Check out his full explanation of the entire process below, from his post on the TAO Spin Top Forum. A friend on Facebook posted this video colored pencil ring showing the use of colored pencils, laminated together, for a small turning project (a ring). the visual effect created by turning something out of a “block” of laminated colored pencils is amazing! Check out this great spin top performance by Chris Neff! It’s from a recent show at the Jefferson City, Missouri Riverside Park Amphitheater, where Chris performed at a local festival-type show. We don’t get nearly enough spin top videos here…send us more! 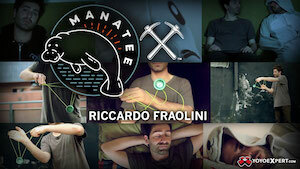 YoYo Fenix in Brazil dropped a nice spin top promo video featuring Martha Gallo and Carlos Toche. We don’t see nearly enough top spinning, and there are some great tricks in here…grab your tops and get to practicing! The Chico YoYo Company has released a new spin top, with a new tip design that hearkens back to an old Duncan top tip design from the 70s/80s. It seems to be called just “New Spintop”, simply enough, and is made of machined delrin. 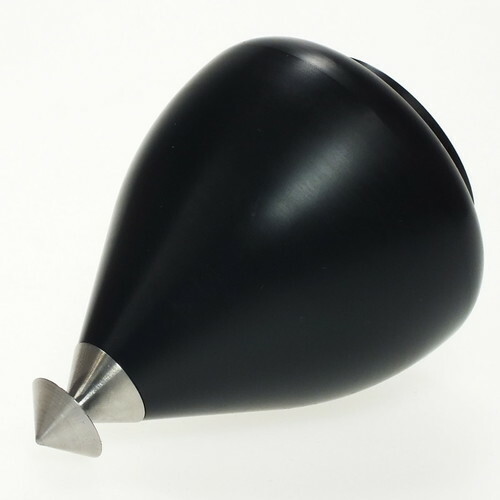 The body shape is a sleek teardrop, very different from CYYC’s first spin top release. The tip has a flat, wide base and a narrow shaft, very reminiscent of a vintage Duncan spin top tip that was geared towards helping beginners to learn more advanced tricks…while a flared tip design like this helps you catch the top back on the string, it does also make it a bit harder to release, which means more advanced top players might find this tip to be fantastic for inverted tricks while required some compensation for more typical tricks. The new Chico YoYo Company spin top is available now at ChicoYoYoCompany.com for $95 each. Anyone involved in the spin top scene will most likely recognize Chris Neff as the 2011 Spin Top World Champion and one who is very active in the modern spin top scene. Before taking the title in 2011, Chris was a Duncan professional who appeared alongside Steve Brown in the infamous “How To Be A Player” series from Duncan as well as “Kickin’ Tricks”, SuperYo’s VHS from the late 90’s featuring many of your current favorites such as Steve Brown, Paul Escolar, and Gary Longoria. Chris disappeared from the yoyo scene in the early 2000’s to focus on his career as an architect, later resurfacing around 2010 and clearly becoming amazing with a top. How To Be A Player was the video that really helped me understand yoyoing when I was young, and I was extremely excited to chat with Chris about tricks, spin tops, donuts and more! Chris, thanks for doing an interview! 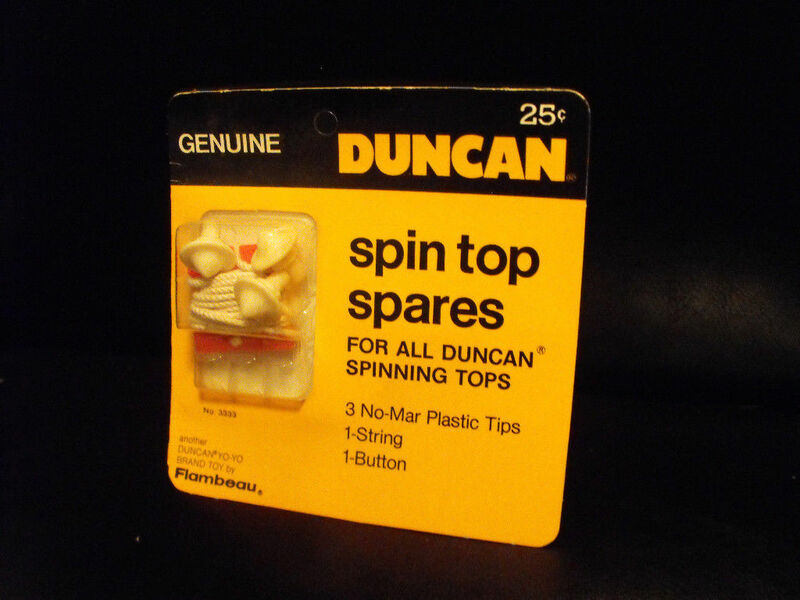 Not only are you extremely good with a spin top, but for those that don’t know you were also a Duncan professional who threw along with Steve Brown in the How To Be A Player videos (as well as appearing in Kickin’ Tricks, SuperYo’s infamous VHS). I’ll go in depth into spin tops later, but how did you originally start playing with a yoyo? I always liked your style, especially in the sections of the How To Be A Player videos where you and Steve would throw your own combos. The week we spent shooting How To Be A Player was the best time of my previous life (My wife might read this so… yeah). So much fun, no partying, just yoyoing… and slushies and duct tape and donuts, ermegersh! I started yoyoing right after high school in 1992 when I bought a Duncan Imperial and the Duncan trick book. By the time I went to college I could do most of the tricks in the book, and my roommate Brad was impressed enough to get a few yoyo’s for himself. Soon a deadly match of one-upsmanship began and kept us busy all through college… except when we were learning to be architects and stuff like that. We lived off of Duncan Wheels and Arnie Dixon’s YoYo Extravaganza video. Fixed axle bosses. That sounds so cool, when I started yoyoing it was of course all over the internet so I definitely had the advantage of looking at online tutorials, but I learned everything from a Sleeper to Mach 5 from How To Be A Player. You and Steve definitely did an amazing job with the Duncan Wheels (those in the video had bearings though, right?) and the FH1 prototypes, in that video too. Kickin’ Tricks is an excellent snapshot in time; SuperYo brought a professional film crew to Nationals one year (1998 I think?) with the soul purpose of capturing every original trick they could find performed on their new Renegade yoyo. I was just stoked to be working with my first yoyo hero Arnie Dixon. So many great players on that video. It’s unique because so few people there were sponsored directly by a y0yo company, (most were sponsored by kite stores) so anybody who had a decent trick could be on the video if they wanted. Of course not every influential player of the time is on the video, but what a great sampling of players and tricks. Has there been a video since with so many different players on it? My approach to building combos has always been based on flow and contrast. Trick elements should glide from one part to the next, unless the effect is to intentionally interrupt the flow, like a stall or something. A combo should have contrast like change in speed and/or size. The elements themselves come from the influence of other players or the occasional accidental discovery of my own. Meltdown came from a bit I saw in Dennis McBride’s “Cyclone Racer” and a rudimentary diabolo stall trick. Black Hole is just a name for “pinwheel on each hand all the way to triple or nothing,” lolz. My advice to emerging players is; don’t force it, that’s annoying. Just play with the darn thing with an open mind and have fun. I agree. I really don’t think there’s been another video like Kickin’ Tricks but I do remember the video saying something about a “Volume 2” which unfortunately never came out. As far as flow goes, I really couldn’t really agree more. Another trick I’ve always liked from you but never been able to figure out is Chainsaw. I actually performed for my Aunt’s elementary school class once and a kid kept asking me to do “the Chainsaw”- I don’t think he was referencing the Chris Neff combo though. Nope, but I have been asked if my yoyo had batteries or if it was “motorized” before. I’m pretty sure I would lose my composure if I got asked if I were struck by lightning, I might just have to stretch the truth there. I always liked how proficient you were in a lot of styles like 2A, 5A and 1A, as well as “Apparatus Play” which you invented, right? I remember the segment in How to be a Player where you showcased some Apparatus stuff and it was pretty cool. Being proficient at several or all the styles is what separates the yoyo professional from the yoyo glam punk. My 3A is terrible but the rest I know enough to get a kid excited about the style and get him started. Ben Conde and Hank Freeman are two of the most well rounded players that I have ever met. ANYWAY, yeah, the Apparatus. I would never go so far as to call that a style, just a sub-chapter of 5A, but I tell ya what, it’s fun. The part in How To Be A Player where you and Steve literally “grinded” the offstring yoyo down the railing was awesome, plus the 5A around the bike racks too. One thing I liked about actual instructional videos was the variety and entertainment factor that you don’t really get with all internet clips. I remember watching that video for the first time and being in awe at how proficient you both were with yoyos in general. Yeah, in HTBAP Vol. 2, I was but a youngling. Steve had tricks of his own and he had learned how to regenerate (create more spin kinda like you do with a diabolo). There were only a handful of active players in the US back then who could regenerate; maybe just Steve Brown, Herman Lau, Jon Gates and Dave Bazan? I had two weeks notice to brush up on my spin top skills before we shot HTBAP. Jon Gates got me interested in spin tops. I saw a red Duncan Imperial spin top in his bag at YoYo University (1998 Team High Performance rally conference in Honolulu for the ensuing Bandai X-Brain campaign… ah, nevermind) and asked him what he could do with it. It was easy to learn the basics from him, but what really hooked me was when he showed me how make them spin smoother by using a little blob of putty as a balancing weight. It’s like turning a useless lump of coal into a diamond. I takes some time to find the right spot through trial and error, but since I learned I have never put up with a rough spinning top. Learning spin tops is a lot like learning offstring yoyo; there’s a lot of chaos and frustration when you first start out, but once you get the hang of a trick, the sense of accomplishment is noticeably stronger than your average 1A trick because it was so much harder to get there. Wow, I’ve never thrown a top but I can imagine how hard it could be to really get a trick down. That sense of accomplishment has to feel great. Merry Go Round is a way to regenerate spin, right? I always thought you and Steve were pretty smooth with tops, the roughest spins in that video would probably be from the smoking/exploding tops in the video. Like a lot of players from the early 2000’s, you disappeared from the scene for a while before resurfacing around 2010, actually becoming the World Spin Top Champion in 2011. In 2001 the yoyo boom that started in ’97 was dead and gone, and it wasn’t so easy to find a yoyoing job anymore, so I fell back on my architecture degree and got a job in my home town, got married, house, kid… I never stopped yoyoing really but nobody else around me was in to it, and I was too busy to keep track of what was developing in the yoyo subculture. I think it was 2008 when I got an e-mail from John Higby with a link to one of Black’s contest videos, saying “Black says YOU are his favorite player!! !” That blew me away and so did his tricks. I didn’t even know that binds existed so it was kind of surreal. It looked like cheating to me, but I finally gave in when Takeshi (who I hadn’t even met yet) sent me one of his modded Freehands. 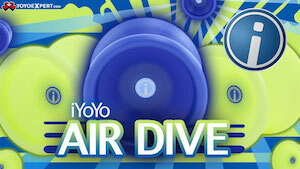 I started judging at MOYO each year and slowly got acclimated to the new yoyo scene. This got me motivated enough to design a family vacation around Worlds 2009. I was speechless at the level of tricks around me, and I was too embarrassed to even put a yoyo on my finger. I needed something else to do. What made you decide to come back, and gravitate more towards tops this time? I met a fellah who calls himself Ta0. Ta0 was eager to meet me and said I was famous in the spin top community because of HTBAP vol 2. I thought he was crazy. He showed me some very impressive tricks I had never seen before, but they weren’t so radically different like the new yoyo tricks I was seeing. It looked manageable and I was eager to tackle a new skill. Ta0 invited me to his spin top forum iTopSpin.com and I have been there ever since. It’s a lot quieter than your typical yoyo forum because there’s just not as much going on as there is in the yoyo world. I’m about 95% sure I saw a video of Black doing a presentation/speech about yoyos to a group of people on YouTube once, and he threw Meltdown for them after saying “After practicing, this is what I could do with a yoyo” (don’t quote me on that, although I’m pretty sure). I saw that video of Black you are talking about, and when he opened with Meltdown I was just blown away! In my very unprofessional opinion, I think the reason that yoyos are so popular and the community is so busy is that it’s so accessible. Nowadays, literally anything you could possibly want to know/watch/buy about yoyos is just a click or two away along with a massive community of so many people that do it too. I originally saw HTBAP sometime in the early 2000’s, but it was 2011 when I really started throwing consistently, not that long before Worlds 2011. In 2011, you became the World Spin Top Champion. What was the process like getting ready for that contest? I won at 2011 Worlds because Darren Kim smoked me at 2010 Worlds AND Nationals. Did you expect to get 1st? Practice definitely makes perfect, and saying that you’re the 2011 World Champ has to be a nice plus. I don’t doubt you could get a National title, that would be another awesome accomplishment. Any last words/knowledge/advice you’d like to say about yoyos or tops? Thanks so much Chris, and good luck! Thing 1: I have been teaching yo yo workshops (in-consecutively) for 16 years, and the thing that has always fascinated me is how various people learn, and my favorite observation is the difference between old and young people. Time and time again, there has been a father and son together in my workshop, and I watch the son pick things up much quicker because he has an open mind, and the father struggles because he is trying to force the object to his will. Stay curious, keep an open mind, and help out your dumb dad. Thing 2: I am not up to date on yoyo videos these days, but one of my favorites it Mr. Bist’s “Take yoyo less serious” on youtube. I wanna see more fun like that. So many players these days try to cop this badass attitude in videos and on stage at contests that I judge, and man, that gets old. I suppose it just comes with the territory, most of these young men are at an age that is all about self assertion, but isn’t anybody out there after some fun? Like Seth, John and Abe and those guys? I think it’s time for my nap.